My sister sent this to me after she visited and saw how many zucchini squash were adding up in our garden and kitchen! substitute 2 to 4 egg whites for the 2 whole eggs. We made the Light Version. The texture was more like a cake than like brownies, but overall it was pretty good. 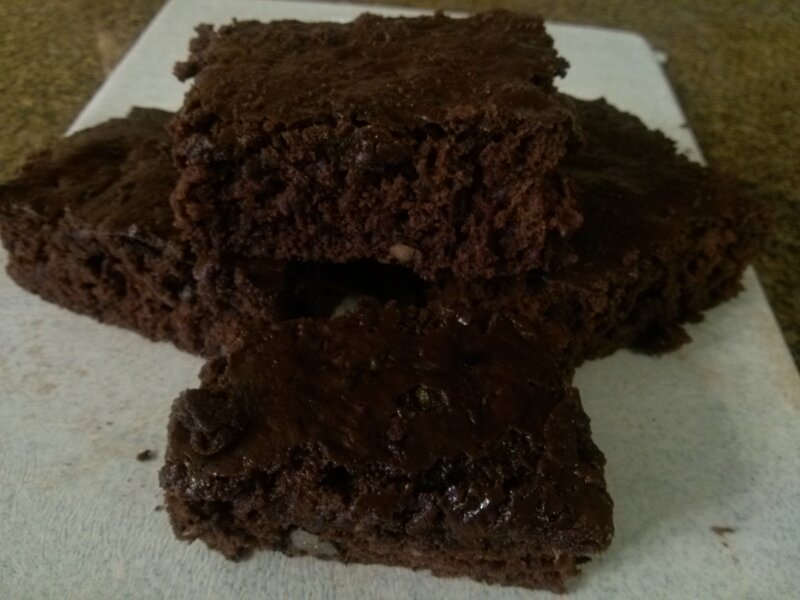 We're trying to think of how to modify the recipe to get more of a brownie texture.